Moist winds rise from the picturesque upper lake and rush to greet the weather vane that stands atop Noor-Us-Sabah. After all, it is here that gracious living and charming traditions of Bhopali hospitality still survive. Built in the 1920s as the residence of Abida Sultan, the eldest daughter of H.H. Hamidullah Khan, Noor-Us-Sabah was reputed to be one of the best residential palaces in the erstwhile Bhopal State. 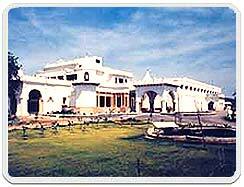 At one time, Bhopal could boast of many architectural gems - impressive palaces, imposing forts and beautiful kothis. Sadly, most fell into disastrous neglect while some were taken over by the State to house its various offices. Viewed in this respect, Noor-Us-Sabah emerges as one of the very few successful attempts in the region to restore and protect the glorious heritage of yesteryears. Starting in 1998, the palace is now a grand heritage hotel with 70 rooms offering the most modern amenities while retaining its old ambience. 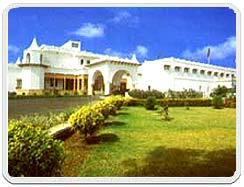 The palace affords one of the best views of the breathtakingly beautiful and expansive Bhopal Lake and the Vindhya hills. The hotel has been done tastefully keeping the old world charm with modern facilities like a conference hall, multicuisine restaurants and a well stocked bar. 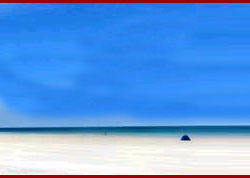 Noor-Us-Sabah is an ideal base for exploring the city of Bhopal and its surroundings. The world famous Sanchi Stupa and the Vidisha caves can be seen in a half-day trip from the hotel. A visit to the old town of Bhopal with its narrow lanes and colourful markets is a must. The other places worth seeing are the Bharat Bhawan and the crafts museum. Taj-ul-Masajid - one of the largest mosques in the country is also on every tourists agenda.